Tshepo Mahloele is the Chief Executive Officer at Harith General Partners, and one of the originators of the $630m Pan African Infrastructure Development Fund. He holds a BProc obtained from Rhodes University and has also completed a Harvard AMP programme. Africa is a continent abound with limitless opportunities and is due its time under sun. There has been a positive tectonic shift in investor confidence and market opportunity. Any investor seeking superior and sustainable returns, should be actively engaged in Africa right now. Under his leadership, Harith General Partners has actively acted as a catalyst for Africa's development through the construction of various infrastructure assets including Main One undersea cable company in Nigeria, Dark Fibre Africa cable company in South Africa, the Henrie Konare Bedie Bridge in Côte d'Ivoire, Lanseria International Airport in South Africa, the Lake Turkana Wind Farm in Kenya, the Enfidha and Monastir Airports in Tunisia and Kelvin Power Station in South Africa, among others. Tshepo Mahloele is a recipient of various recognition awards including some from the Association of Black Securities and Investment Professionals (ABSIP) for his work. He also recieved the CEO of the Decade award (2014) from ABSIP. 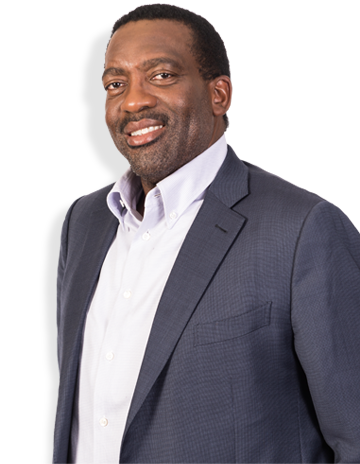 Mahloele previously headed the Corporate Finance and Isibaya Fund Division of the Public Investment Corporation (PIC) - the largest investment manager in South Africa with over USD90 billion under management. At the Public Investment Corporation, Mahloele actively implemented the organisations’ Black Economic Empowerment (BEE) strategy which resulted in a number of new industrial entrants coming into the South African economy. In this regard, he concluded R13bn worth of transactions over three years. He developed a new strategy for the Isibaya Fund of the PIC and achieved a 45% return for the 2003/2004 financial year and 40% return for 2004/2005 financial year. Mahloele previously worked for Rand Merchant Bank as Manager of Corporate Finance and Credit Department, where he was among others, responsible for focussing on privatisation and developing the bank’s strategy for Black Economic Empowerment (BEE). He then joined the Commonwealth Development Corporation (CDC) as an investment executive where he oversaw an investment budget in excess of R700m per annum in South Africa. This role included examining and overseeing the bank’s developmental impact strategy. Mahloele headed the Private Sector Investment arm of the Development Bank of Southern Africa (DBSA) managing a portfolio of R4bn with 12 high ranking project managers reporting to him. He improved the unit’s approvals from R320m to R2,1bn within one financial year. He increased disbursements from R300m to R870m during the 2002/2003 financial year. He also contributed to the DBSA’s strategy role in the New Partnership for Africa’s Development (Nepad) while cultivating relations with the various funders and project sponsors within the infrastructure financing environment.